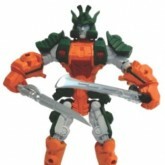 Bludgeon was originally shown when the Hero Mashers line was revealed in January 2014. 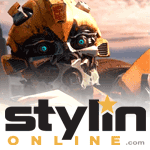 While other toys in that pitch were included in the final assortment, Bludgeon was not released - although the majority of his tooling was repainted to make Drift, most likely to tie in to the Age of Extinction movie. 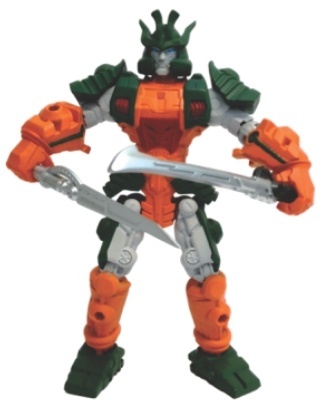 With the end of the Hero Mashers line, Bludgeon seems to have been forever consigned to the "what could have been" category of Transformers toys.